GO F-24 Compared and Reviewed to Mimaki Small Format Flatbeds--What are the Pros and Cons? 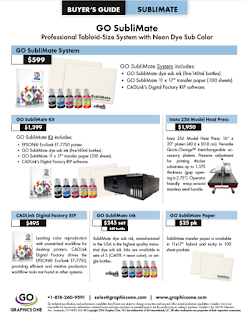 This is a third in a series of five articles comparing and reviewing the GO F-24 Small Format UV LED Flatbed Printer to other products in the market. In our first article we reviewed the products from Direct Color Systems (DCS), the second was a comparison to Inkcups' printer to the GO F-24, and the third is to Mimaki's desktop UV units. Mimaki's units have been the market leader in the industrial segment of small format UV printing. The Mimaki units feature Ricoh printheads and have a wider variety of inks available for different applications. Additionally, Mimaki as a company is known for their innovative printers and generally are ahead of the other Japanese manufacturers with new printing ideas. Their small format UV flatbeds are no different--they do offer some interesting ideas and features. How does GO's F-24 Compare?